How to make your mobile supporting for Unicode.....? Unicode is a character encoding standard that has widespread acceptance. Simply it is the way of using most of the languages of the world. It may be either Sinhalese, Tamil, Russian, Hindi or what ever the language except English. Even though most of the windows systems in the computers have make to function with Unicode properly, Still the most of the mobile devices are unable to work with Unicode. If you load such page with your mobile, you only see set of squares. The reason why it happen so is that normal state of Opera mini browser is not supporting Unicode which is the predominant browser of all type of mobile devices like Android, Nokia, Sony-ericson, ...etc. So, now we are going to consider how to make it acceptable for your mobile. How can we make the settings for supporting to mobile device....? 1. 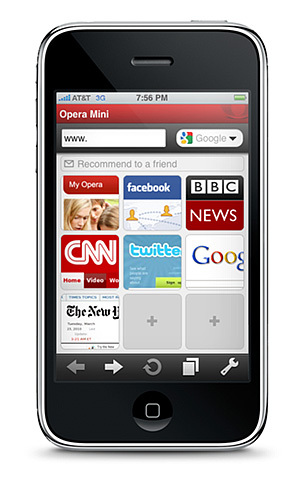 First open your Opera mini browser in the mobile. 2. Go to the browsing area of the browser. 4. Now you can see a set of settings. 5. 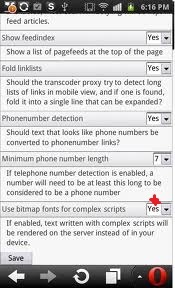 Go to the bottom one which mention as "Use bitmap fonts for complex script"
6. Change it to "Yes"
7. Now save changes and come to the home page. 8. See how it works by visiting a site with set of Unicode. I assume you may enjoy the Unicode accepted browser than set of squares which means nothing.